ClickSend Help Docs - Can I use my own domain for the reseller dashboard? 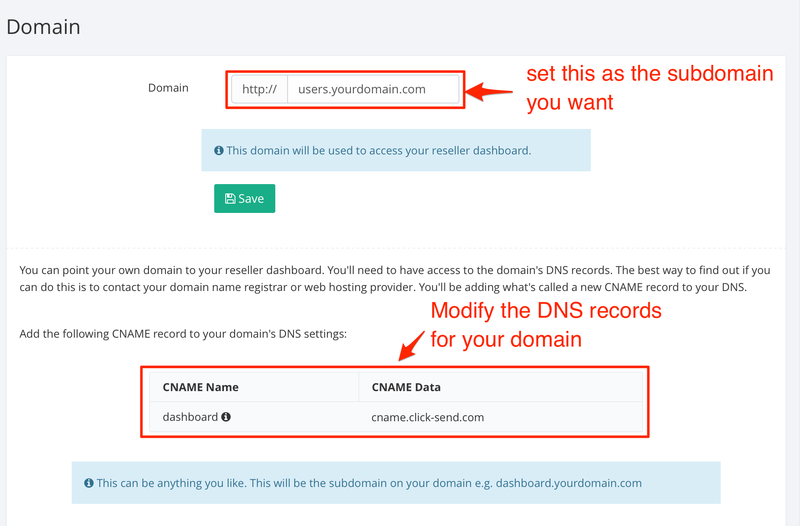 All Categories ​>​ Resellers ​>​ Can I use my own domain for the reseller dashboard? Can I use my own domain for the reseller dashboard? Can I get a number that isn&apos;t on the dashboard?